Yes, we know. It’s been a little while. But what better way to kick some life into EngageSportMode than with a new orange hot hatch? The world of EngageSportMode is actually fairly simple when it comes to what we like, and don’t like. We very much approve of hot hatchbacks, and we are big fans of anything that happens to be painted in bright colours. So it means a new compact performance car, finished in Deep Orange, is always going to ping up on the ESM radar. Good work, Ford. It’s an impressive achievement, given that the current Fiesta ST has already been on sale for almost a year. 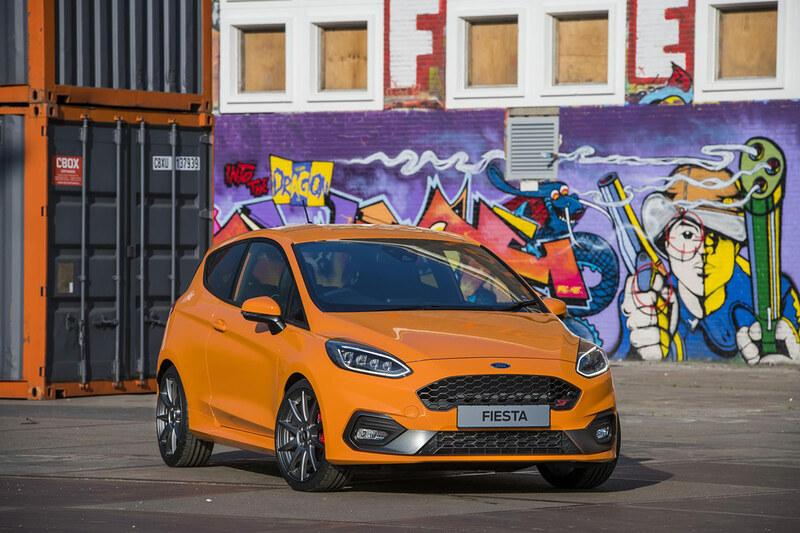 The UK market is one of the biggest for the fast Fiesta, with some 5,000 examples having been sold. As an aside, that’s more than six times the total number of cars Infiniti managed to sell during 2018. 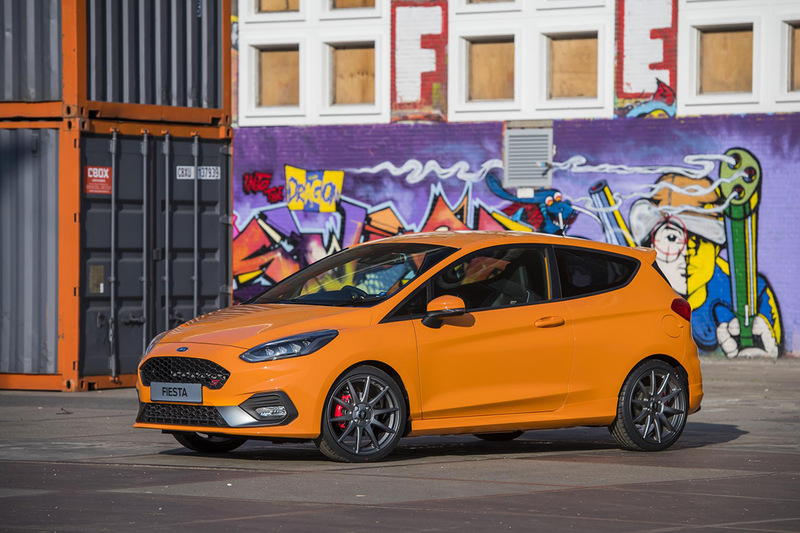 Ford hasn’t just added the fancy paint to the Fiesta ST, with the Performance Edition also gaining some trick new parts. 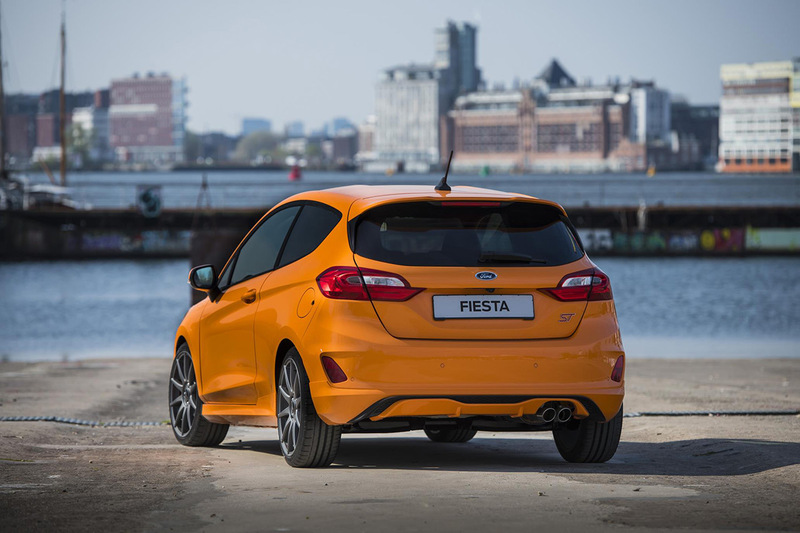 A set of fancy Ford Performance 18-inch alloy wheels shave a substantial 7kg of unsprung weight from the ST. The special 10-spoke items have been flow forged, and are stronger as well as being lighter. Detailing fans can also rejoice, as Ford promises that the triple layer “Magnetite” paint applied to the wheels is resistant to the worst of winter weather. Big news comes in the form of a Ford Performance coilover suspension kit. With bright blue springs and stainless steel dampers, this sounds like a decidedly high-end addition. Lowering the ST by 15mm at the front, and 10mm at the rear, the setup has been extensively test by Ford at the Nürburgring Nordschleife circuit. For those who reckon they can do better than expert Ford engineers, the coilover kit can be adjusted manually with 12 bump settings and 16 rebound settings on offer. Features from the regular Performance Pack ST are carried over, including the Quaife limited-slip differential and launch control. LED headlights and a B&O sound system are also part of the deal. Pricing has yet to be confirmed, but Ford expects to charge a premium of £3,000 over the current range-topping ST-3 version. That means a potential total of £25,450, which may seem a lot for a diminutive hatchback. However, view this as a cut-price alternative to track-focussed supercars, and it seems all the more acceptable.